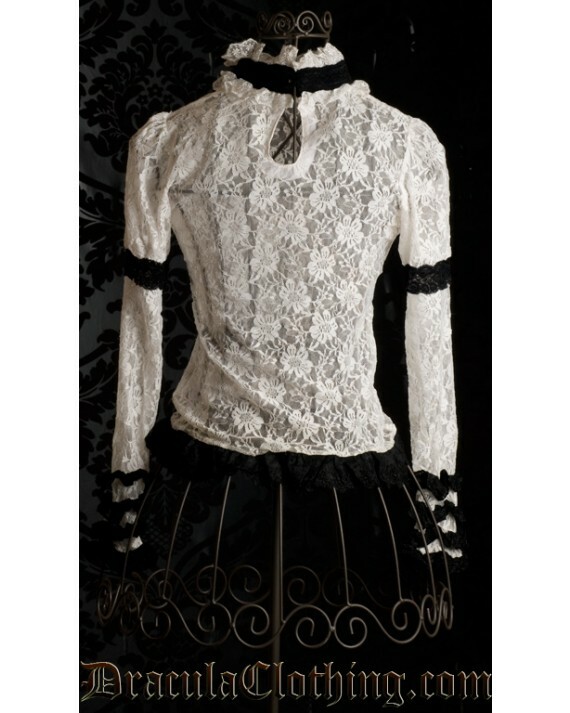 This super-soft white lace top with black details looks great with a bra or camisole underneath. Pair with steampunk accessories or a corset. Razor Candi is also wearing the Steampunk Goggles around her neck.